Children’s National Medical Center has announced the appointment of Nabile Safdar, MD, as principal investigator of the Bioengineering Initiative at the Sheikh Zayed Institute for Pediatric Surgical Innovation. A musculoskeletal radiologist and imaging informaticist, Dr. Safdar joins the Institute’s interdisciplinary bioengineering team to harness the full power of science and technology through a dynamically supported and fully integrated research and clinical program dedicated to accelerating advances in children’s surgical care. 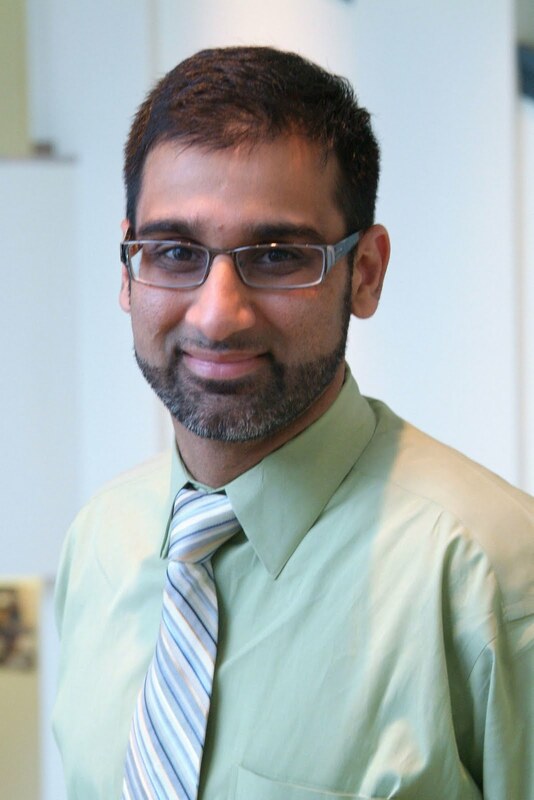 Dr. Safdar’s Institute research will focus on improving pre- and post-surgical evaluation through biomedical imaging and computational sciences, and improving the training of radiologists and surgeons in these advanced methods, including the use of computer assisted surgery. Read more. Dr. Zena Quezado, director of the Pain Neurobiology Laboratory at the Sheikh Zayed Institute for Pediatric Surgical Innovation, has published a study showing that propofol, a well-known anesthesia medication, has a low occurrence of adverse events for children undergoing research-driven imaging studies. The findings indicated a low incidence of adverse events and no long-term complications when propofol was used to sedate children for imaging studies that require them to be still for long periods of time. However, propofol does show an increased risk for respiratory, cardiovascular, and other side effects if anesthesia is administered over a long period of time or if the child has other complicating factors, including some systemic disease or an airway abnormality. It is also the first imaging study to show an increase in risk to the child with each 30-minute increment a child was under anesthesia. The study appeared in the June 7 issue of Archives of Pediatric and Adolescent Medicine. Read more. Dr. Quezado serves as director of the Pain Neurobiology Laboratory at the Sheikh Zayed Institute, joining a team of medical visionaries who are coming together at the Institute to re-imagine the entire pediatric surgical experience and create a new standard for surgical instruction and research. Dr. Quezado’s Institute research will focus on the mechanisms of pain response and response to novel drugs. In addition to her research duties, Dr. Quezado is also a pediatric anesthesiologist within the Center for Surgical Care. She will work closely with Julia Finkel, MD, a preeminent pain medicine physician-scientist and leader in the field of pain medicine. At the National Institutes of Health, Dr. Quezado served as Chief of the Department of Anesthesia and Surgical Services at the Warren Grant Magnuson Clinical Center. An active researcher, Quezado has published more than 50 peer-reviewed manuscripts in clinical and scientific medical journals. Click here to add to your favorites! News and reports from the Sheikh Zayed Institute for Pediatric Surgical Innovation. The Institute seeks to make surgery more precise, less invasive, and pain free. Learn more about the Institute. Children's National Medical Center | 111 Michigan Avenue, NW Washington, DC 20010 |. Powered by Blogger.